All kids have dreams about what they want to be. As they grow up, few are lucky to realise those dreams while most are not so fortunate. At VedAtma, we help students make educational and career choices best aligned to their unique natural potential to realise their dreams. Most career counselling or coaching centers end up being prescriptive about courses and colleges, with undue importance given to student's aptitude. VedAtma digs deeper into understanding every student's unique natural potential, a convergence of three aspects of personality, career interests and aptitude. Discovery of students' unique natural potential enables appropriate career recommendations that are best suited to the student. This ultimately leads to greatest opportunity for both professional and personal fulfillment, helping them 'become their best'. The Myers-Briggs Type Indicator®(MBTI®) assessment is a self-report questionnaire. It is designed to determine an individual’s personality type. It enhances the understanding of an individual’s motivations, natural strengths and potential areas of growth, providing an excellent foundation for an individual to achieve their career goals. The Strong Interest Inventory® Assessment is one of the world’s most trusted career planning tools extensively used by academic and business institutes for educational guidance and career counselling. The test provides valuable insights into an individual’s vocational and personal interests effectively aligning their preferences with potential educational, professional, and leisure activities. In today’s world of endless and ever-growing opportunities, it is the best instrument available for students to help them make promising educational and occupational choices for a rewarding and satisfactory career. 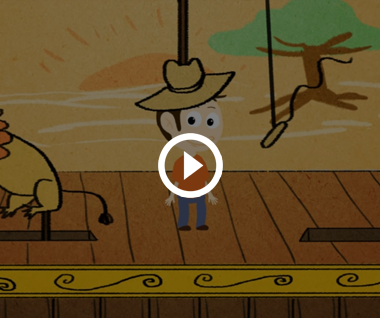 The Murphy-Meisgeier Type Indicator for Children® (MMTIC®) is a unique self-report assessment, especially designed for children and teenagers to measure children's psychological type preferences. 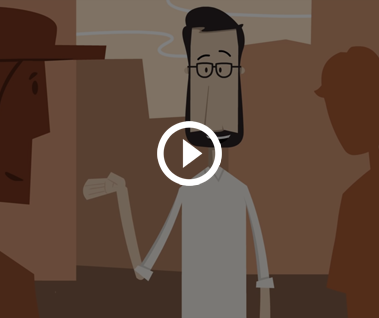 While the Myers-Briggs Type Indicator® (MBTI®) assessment is intended for mature audiences, MMTIC® is a simplified version to assess personality type in children and teenagers. We believe best career decisions starts with self-knowledge, hence VedAtma. We comprise a team of Certified Practitioners in three psychometric assessments, namely MBTI®, Strong® and MMTIC®. We have extensive experience in administering these assessments in varied settings and to different age-groups, especially children. We are passionate about creating a society wherein all students have an opportunity to discover their natural potential by using the best psychometric assessments, and use it to find their best-fit educational and career fields. I study in Birla Public School and reside in Qatar. I recently attended VedAtma counselling with hopes to find the career field I am best suited to. I was very happy to find that this counselling process was effective in addressing my career exploration. I was able to understand my career interest, aptitude, personality and finally my unique natural potential. Moreover I was also able to understand the way my interests were being assessed, and how I can also use this method to assess myself if I develop any future interests. VedAtma counselling process can be very effective to find out one's potential and the field the person is most suited to. I am a 10th grade student in Navy Children School (Kochi). I found VedAtma in my search to determine future career possibilities and the streams to choose in plus-2. VedAtma's Career Counselling Process was effective in addressing my career exploration. I now know what to do and how to step into the career fields which will keep me satisfied and happy. I will not end up wasting time, money and effort when its time to get a job. I can take a well informed choice. Another learning was about personality types and why others are different from me and why we react differently. It has been a truly enlightening experience, all thanks to VedAtma. The career guidance sessions have helped me explore not just my career options but also given me an insight into my personality. From knowing my personality type through the MBTI® assessments to finding out my interests and skill sets through SII, the tests were absolutely effective in discovering my potential and finding a career best-fit for my type. The test also opened me up to a wide array of job options, that I was previously unaware of. When I started taking my tests, I only wanted to gain some clarity on the course I should pursue for my Post Graduation but I took back more than just that. It has given me a deeper understanding about myself, introduced me to indicators that essentially drive me and most importantly helped me realise that I could always play my positives to my benefit in any kind of a job setting. It goes unsaid that the tests have given me immense clarity on best-fit career options as well as graduation courses. I find myself recommending these sessions to friends and family and I only wish I had taken them earlier. I am a Grade 10 student in Rajagiri Christu Jayanthi Public School, Cochin. My main objective was to know my main interests and which career path it lies in. Vedatma counselling process was great in helping me. It is a unique technique to help students like me open my mind and go beyond the boundaries of career choices. It introduces a wide variety of careers, some of which I haven't heard before but at the same time interested me. I appreciate the Vedatma method of guiding me. 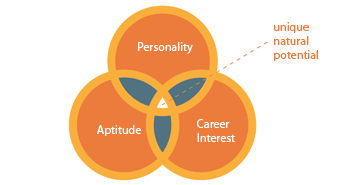 I particularly liked the drawing that represented three ways to choose the career suitable for me, based on a combination of personality, career interest and aptitude. I thought Career interest and Aptitude were the only ones to determine my career but then you made me realise how much my personality was involved. Thank you. I am a Std IX student studying at Chavara Darsan CMI Public School. 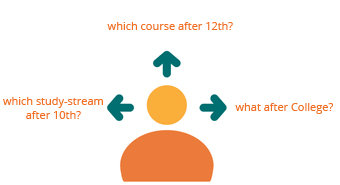 I wanted to do this career counseling process to get clarity on which stream of education to choose in Plus 2. VedAtma has helped me to identify my strengths and reiterated my liking towards choosing my future career through an appropriate study stream. In particular, I liked the exercises which were very interesting and the way Eldho Sir spoke politely and explained very patiently. Thank you. I am a B.B.A Graduate from Rajagiri, Kakkanad. My objective in undergoing VedAtma Counselling Process was to have a clear idea on what to do in the future that would satisfy me. The VedAtma Counselling Process was effective in helping to clear my concerns related to my career exploration. Especially, it has cleared all my confusions with regard to my interests and aptitude. I enjoyed the entire VedAtma Counselling Process. Most importantly, clearing a confused state of mind helps one to understand themselves better. My objective in attending the VedAtma Counselling Process was to find my inner potential and match it with my aspirations. The VedAtma process was very helpful in unfolding my potential through the assessment and counselling methods using MBTI, STRONG, RIASEC, etc—and it was a really good way of identifying my real self. I could now strongly decide on my career, and how my future should be designed rightfully in my own way. The main takeaway I had through this program was to confidently and aptfully decide on my career and my paths to my dreams and goals towards success. I’m now able to confidently tell about who I am and what I am. Thank you. I'm a Class XII student at Bhavans Vidya Mandir, Girinagar, Cochin. My objective in undergoing the VedAtma Counselling Process was to find out and know more about different career opportunities and college courses that I could do after completing Class 12. VedAtma’s Career Counselling Process was highly beneficial for me. It made me aware about the different courses and careers that I could do or get into. I also came to understand different aspects of my personality of which I was not aware earlier. It was an elaborate process which made me think about several options and whether these are suited to my personality, interest and skill. Through this process, I now have a better understanding of my personality, interests and aptitude and also those important points I must consider before choosing a career option. As I completed my B.Com as influenced by parents, I knew I didn't belong to a bunch of accountants. My heart as always was in the Film world. My aspirations went from that of being an actor to a cinematographer. We approached VedAtma with an open mind. I was ready to hear things from a different perspective and thus began my short journey with my counselor Mr. Eldho Kuruvilla. After I completed the 2 online assessments, the counselling sessions commenced and I felt the value addition as the sessions progressed. Finally when all 3 aspects - career interests, personality and aptitude were done with and the unveiling of my Unique Natural Potential took place, I was more than happy to see that I did fit in to my dream world. Today I am pursuing my studies to be a good Cinematographer. Thanks Mr. Eldho for the wonderful revelation that has taken place in my life. I strongly recommend every student to come in and get VedAtma Process done for self assurance. I was a practicing lawyer for two years but soon realised that it was not a career path suited to my nature. I decided to undergo the Vedatma process to decide in on a new career path that could align more with who I am. The Vedatma counselling is an effective tool for anyone who is confused regarding what they want to do with their life. It helps you identify your natural preferences, your interests and thereby, a career path accordingly suited to you. Whereas most other career counselling centres in the city only concentrates on providing one with the options available, Vedatma goes one step ahead in that it aims to understand the personality of the client and then guides the individual on a career path suited to him/her. I am grateful to Eldho and his team for helping me find myself and for guiding me on a new career path. MBTI® assessment is the most widely used instrument for understanding normal personality differences. It is used by 1.5 million people each year and has been translated into more than 30 languages. 89 of Fortune top 100 companies have used MBTI® to maximize individual and team effectiveness. 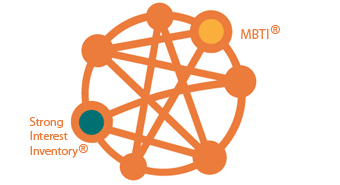 MBTI® is supported by scientific research of more than 50 years and ongoing global development. Makes the students aware of their strengths and blind spots, and their own unique personalities. Eldho discovered MBTI® during his MBA in 2001. His immense interest in MBTI®, as he understood its varied use and applications, led to his certification in the same. He subsequently got certified in MMTIC® and Strong® in Singapore. Eldho’s passion for bringing out people’s potential and his realization of the need to guide students in their ideal career path has led him to establishing VedAtma. For those who know MBTI® Type preferences, Eldho is an INFP, and it is no wonder that he should embark on this journey now!